Provide comfort for the family of Doris Morgan with a meaningful gesture of sympathy. On November 27, 1940, in Newark, NJ, Doris Morgan was born to the union of Clarence and Madeline Morgan. She was the third child, of four. 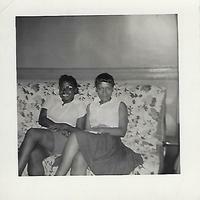 During her early years, Doris received her education thru the Newark public school system. Upon completion in 1959, she received her HS diploma from Central High School in Newark, NJ. Equipped for the “Real World”, Doris entered the work force. She began working at Willow Brook State School, where she worked as a CNA. In times of need, she volunteered for The Red Cross assisting with disasters and fires. Finally ending her career by retiring from Prudential Insurance Company in 1994. She began a new chapter in her life by relocated to Georgia in 2007. Having this wonderful free time allowed her to pursue her many hobbies, which included: making Raggedy Ann and Andy dolls and clothes; crocheting beautiful Afghans etc. ; traveling by air, land and sea. But most of all, she enjoyed spending time with family - picnics, parties, and get togethers. Sadly, January 21, 2019, mankind’s worst enemy, death, ( 1Corinthians 15:26) claimed our dear beloved one after an extended illness. Doris’ parents (Clarence and Madeline), two brothers (William and Donald), sister (Lorraine), nephew (Eric), and a niece (Sharon) preceded her in death. She is survived by her sister-in-law Karen; niece Celeste (Kenny); nephews Donald (Kelli), Damon (Marlease), Leonard, Craig, Gary (Tia), numerous Grand and Great Grand nieces, nephews, cousins and loving friends. But very soon, a wonderful promise (Job 14:14,15) from our Loving Creator,(Psalms 83:18), will be fulfilled. Until then, may we all remember and cherish the wonderful memories of our beloved Doris. To plant a memorial tree in honor of Doris Morgan, please visit our Heartfelt Sympathies Store.